Do you often feel overwhelmed with life? Do friends or family know you as a “worrier”? Does it seem like you’re on edge over getting things done? 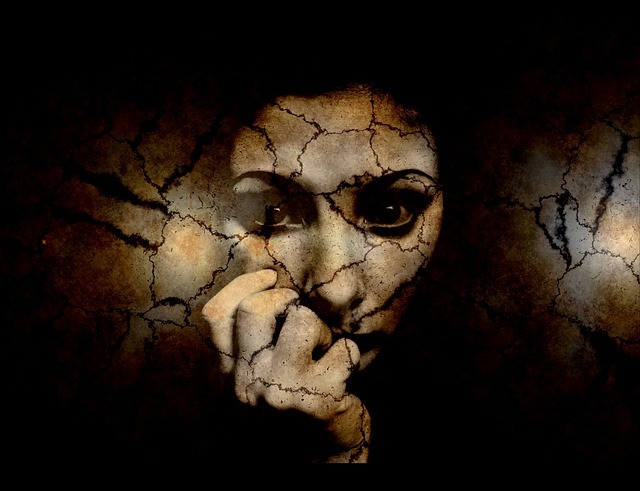 Do you find yourself battling with unpleasant fears? Do you become nervous or uneasy in social situations or avoid them altogether? Do you have trouble sleeping because your mind just can’t seem to “shut off”? Counseling help for you to overcome doubt, worry, and anxiety… we’ve seen it happen with many of our clients! Most people in day-to-day life experience some form of doubt, worry or anxiety. Sometimes it comes in small ways, sometimes you don’t really know it’s there and yet sometimes it can feel like the anxiety comes over you and greatly effects your quality of life. We have witnessed significant changes for the better in many of our clients who have suffered to one degree or another with worry, nervousness, and anxiety in everyday situations and relationships. I just don’t have time for counseling right now. You are probably right. You have been on the run or in inertia for hours, days, weeks or even months on end trying to find the time to feel less anxious, less worry and trying to be happier only to find that you have been on an ever seemingly vicious circle with no end in sight. It’s time to take charge and responsibility for your well-being. No one else can do it for you. If you slowed down long enough to regain a sense of self, just maybe the worries, anxiety, and overwhelming feelings will slow down as well. I’m really not that crazy, am I? There are times when it really feels that way for a lot of people. Moreover, we have found in the beginning of therapy many anxious clients feel like they are “crazy”, out of emotional balance or out of the norm when it comes to coping with and managing their anxiety. This may be because they really did not have an effective strategy or strong healthy coping tools to navigate troubled times. However, after a little time in therapy, by taking charge of their thoughts, feelings, actions, and attitude they begin to find that sense of well-being. I already self-medicate to relieve my stress. How will counseling help? Many people have their own ways of coping with anxiety and overwhelming emotions such as drinking, overworking, gambling, drugs, as well as other addictive means. Some even try to ignore it or even sleep excessively as a way to numb out their emotions. These “habits” may help for a time but often act as an emotional “band-aid” to cover up possible root or core emotional or mental pain. Exploring new ways of coping with life’s stressors and new ways of handling nervousness while looking at potential causes of your anxiety may certainly go a long way to bring more satisfaction, confidence and peace into your daily life. Look at what it is costing you now for doing what you’re doing or paying for now. Consider how you are handling your anxiety or how it seems to be consuming you. Is it really effective enough to give you hope, peace, joy, contentment, satisfaction, and purpose in your life? Most if not all of us want a bargain but as the old adage goes, “You get what you pay for”. But then again, what you are doing (or not doing) and spending now to alleviate the stress, worry and anxiety may actually be costing you a whole lot more than a few sessions in counseling. Think about it. Here with Pathways we are equipped with knowledge, experience and compassion to help you discover a sense of well-being, calmness in your spirit and peace of mind while pursuing clarity, value and contentment along your own journey. You matter to us! You don’t have to go it alone. Life does not have to be so difficult. One of our goals is to help you experience more freedom, peace, creativity and enjoyment in who you are as a person and for those who you love to experience it with you. When you are happy, others around you may more often than not begin to feel it also. Over time, you too can ride with life’s ups and downs that were previously too overwhelming and confusing and feel more confident in doing so. Let us together with you help bear and work through your burdens. It is time that you experience freedom from anxiety! Call or email us today.